Doctors and healthcare workers are routinely compelled to tell women who need abortions that they cannot provide them with or refer them for abortion services because there isn’t enough of a risk to their life. It should not be the case that these workers are legally barred from providing treatment to women even if there is a risk to their physical or mental health or their emotional well-being. For too long Irish society and it’s institutions have remained silent on abortion, fearing censure from the church and the status quo. This silence adds to the suffering felt by those who follow their own consciences and choose abortion. In this time of austerity and anxiety, we need to show real solidarity with people who make difficult choices in order to live their lives as best they can. Globally the trade union movement have been crucial in advancing women’s rights and defending reproductive rights when they have been attacked by regressive forces in society. We commend the many trades councils and activists in Ireland who have been mobilising their unions to repeal. 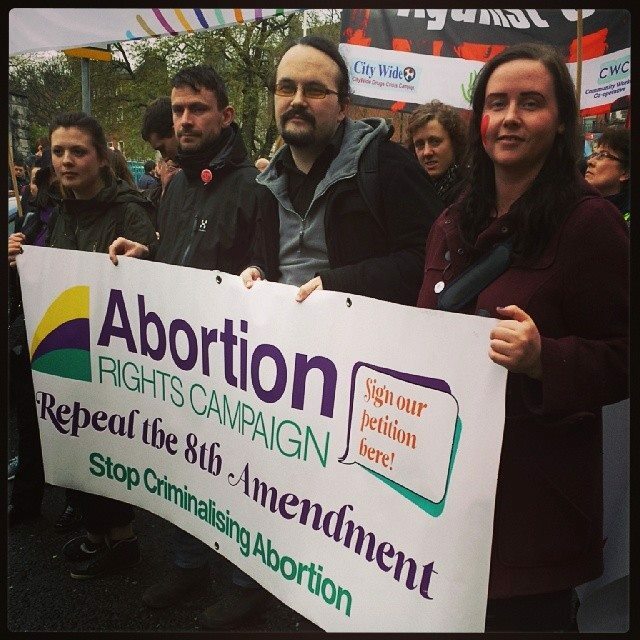 Get involved this year with the Trade Union Campaign to Repeal the 8th Amendment!